Tessa was born and raised in Washington D.C. She spent a large portion of her childhood outdoors where she developed a love for the environment at an early age. She graduated from Emory University in Atlanta, GA where she studied Environmental Science and Classical Civilization. She has had a wide range of experiences within the environmental field but has found that interpreting the natural world to those around her makes her the most happy. 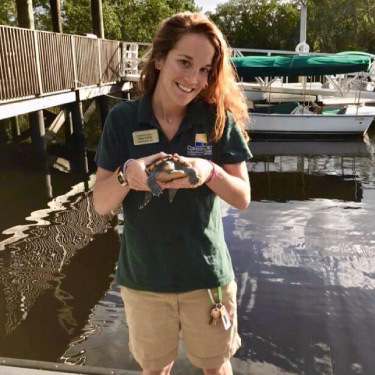 She just finished an internship in Naples, Florida as an Environmental Education and Animal Husbandry intern and is eager to grow as a naturalist during her time here. She loves to learn about the flora and fauna around her and especially adores amphibians and reptiles. Her other interests include Greek sculpture, political podcasts, cooking, and hiking.